We take you back to 1993 when Michael Jordan was averaging 41pts per game and the Chicago Bulls were at their peak. Michael Jordan was wearing the Air Jordan 8 and the Nike Air Raid 2 was exciting the school yards with its Urban Jungle colourway inspired by urban, outdoor play. 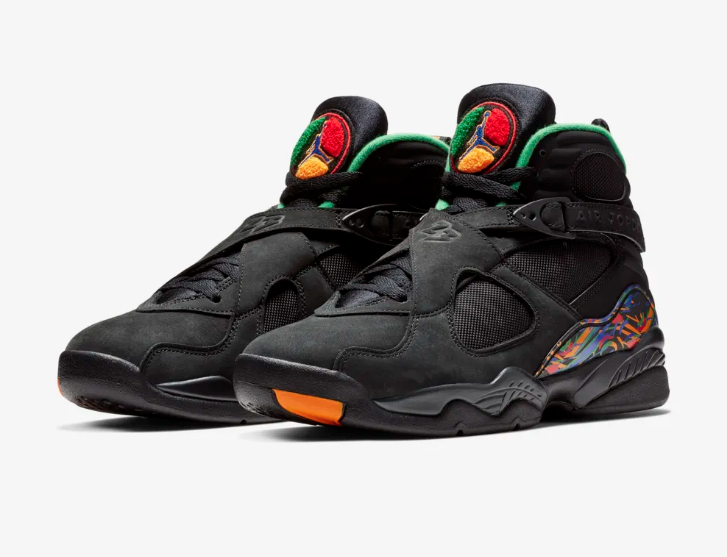 The Air Jordan VIII Retro Air Raid combines those two stories wrapped in a black nubuck with bright and multi-colored accents on the outsole, heel and toweling tongue details. Why do you enjoy a hit of basketball nostalgia and jump on this pre-Christmas release?